Dryden, a town situated on the eastern side of Tompkins County, contains two villages; Freeville and the Village of Dryden. Michaels & Smolak represents personal injury and medical malpractice victims from the Dryden area, including several members of a family involved in a motor vehicle collision where the at-fault driver failed to stop at a stop sign. Michaels & Smolak’s closest law office to Dryden is in Auburn (directions HERE), but the firm’s lawyers, at the clients’ request, travel to their clients’ homes in Dryden and elsewhere. The firm prides itself on its personal service. Many new clients are referred to the firm by satisfied former clients. 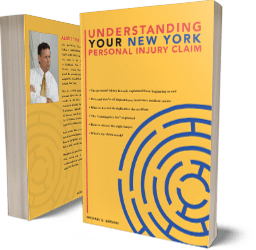 Also, many personal injury and malpractice victims are referred to the firm by other local lawyers who know the firm’s reputation for success in accident and malpractice litigation. The firm has experience trying and arguing cases in the Tomkins County Courthouse, and is familiar with the jury pool and judges there.